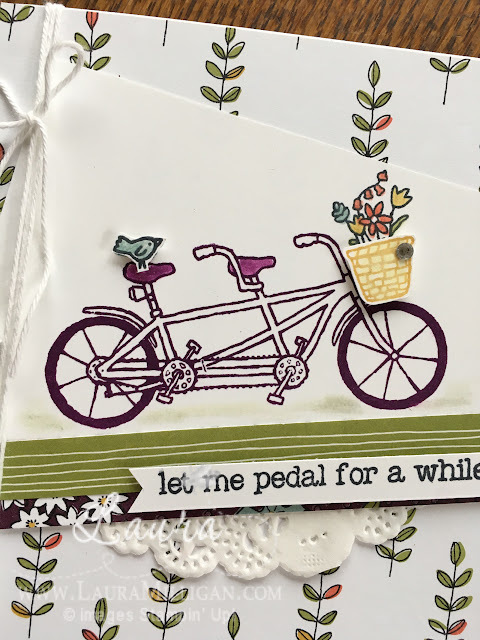 Welcome to the Stamper's Dozen Blog Hop for March! We are switching things up again this month and doing a Color Challenge. My card features two Saleabration products. I love the Pedal Pusher stamp set and have combined it with the Wildflower Fields Designer Series Paper - and all the colors from our color challenge are in this paper! 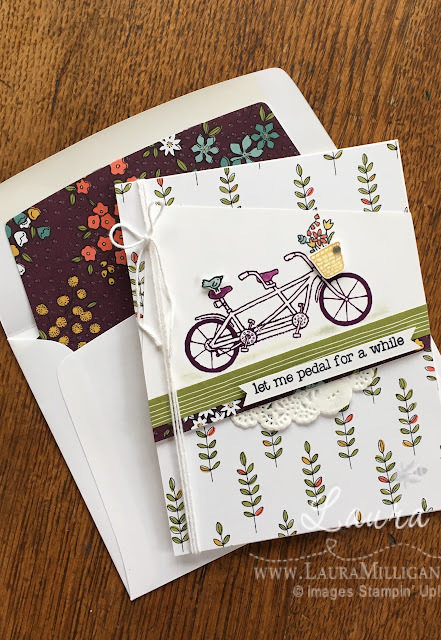 I used my Big Shot with the Envelope Liner framelits to add some of the Wildflowers DSP to envelope. 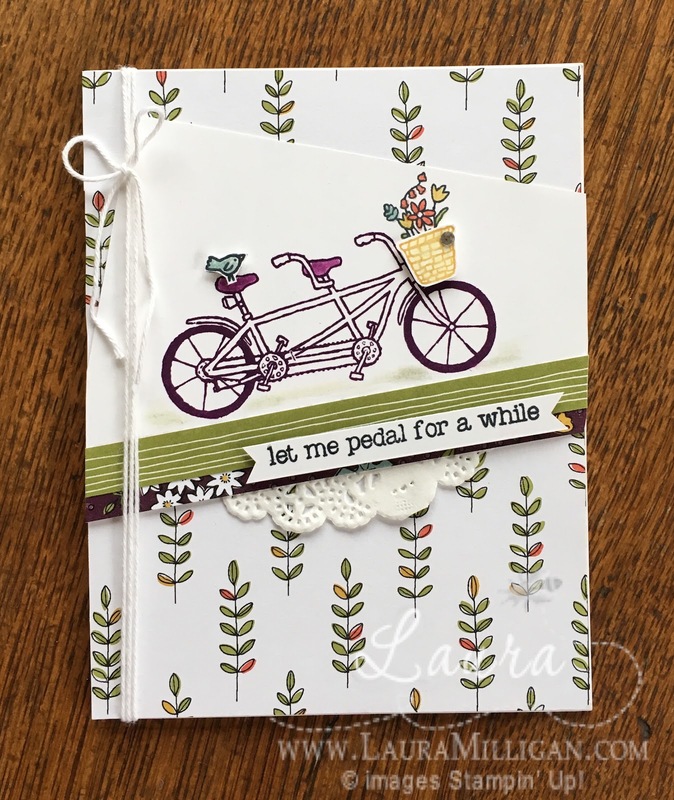 Love how this dresses up the envelope and makes the card seem more special. These Saleabration items are only available for a few more weeks! Saleabration ends March 31. Don't miss out on your chance to get these free products! Thanks so much for hopping with us today! Please feel free to contact me should you have any questions about my card.